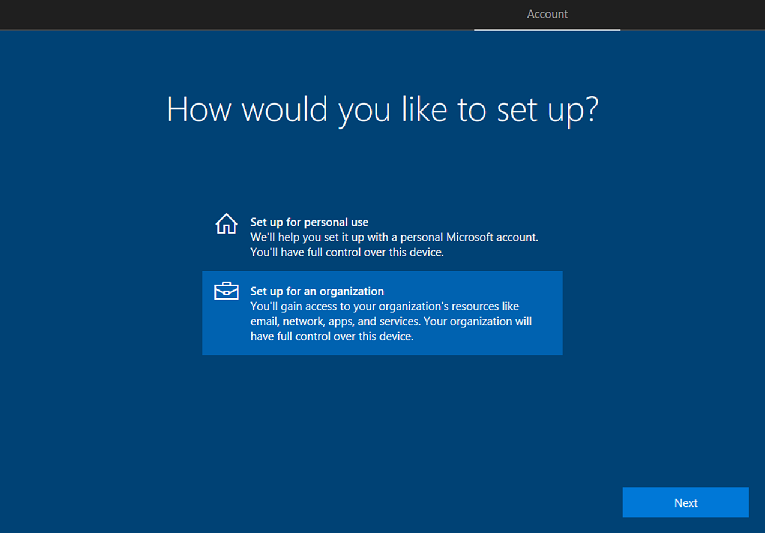 If you are setting up a Windows 10 device invidividually, and network bandwidth is not an issue, you can go through the Windows 10 first-run setup experience, also known as OOBE (out-of-box-experience) to set up the device, and join it to your school's Office 365 and Azure Active Directory. You can watch the video to see how this is done, or follow the step-by-step guide. If you don't have a Wi-Fi network configured, make sure you connect the device to the Internet through a wired or Ethernet connection. Go through the Windows device setup experience. 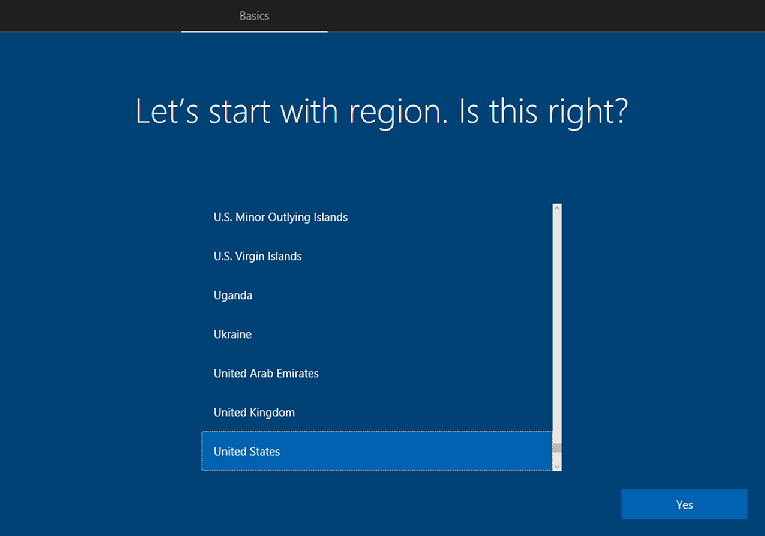 On a new or reset device, this starts with the Let's start with region. Is this right? screen. Continue with setup. In the How would you like to set up? screen, select Set up for an organization. Sign in using the user's account and password. Depending on the user password setting, you may be prompted to update the password. Choose privacy settings for the device. Location, speech recognition, diagnostics, and other settings are all on by default. Configure the settings based on the school's policies. Click Accept to go through the rest of device setup.